Mortgage costs have remained stable in the buy-to-let market with little movement recorded over the past three years despite many changes in the market, Mortgage Brain’s buy-to-let product data analysis has found. 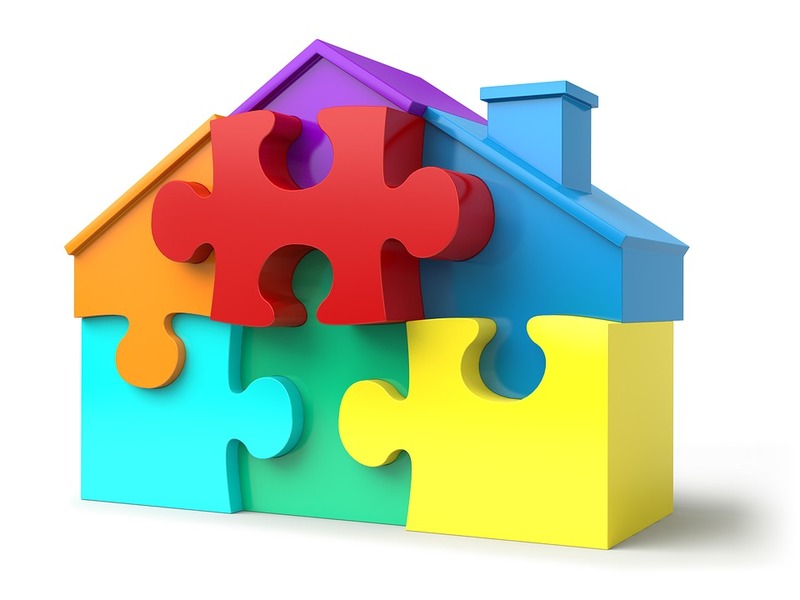 The data, as of 1 March 2019, showed that the cost of a number of 2 and 5-year fixed rate mortgages have remained static when compared to the costs at the beginning of December 2018. The cost of a 70% LTV 2-year tracker and a 70% LTV 5-year fixed fell by 2% and 1% over the same period. The reductions in cost – while marginal – do offer buy-to-let investors a potential annual saving of £126 and £72 respectively on a £150,000 mortgage. By contrast, the cost of a 3-year fixed buy-to-let 70% LTV is now 2% higher than it was in December and equates to an annual cost increase of £125. Mortgage Brain’s longer-term analysis, however, does show that the buy-to-let market is still in a healthy position compared to this time three years ago – a period when the controversial 3% stamp duty hike for landlords was introduced. The cost of a 60% LTV 5-year fixed buy-to-let mortgage, for example, is now 11% lower than it was in March 2016, while a 60% LTV 2 and 3-year fixed are 7% and 10% cheaper. The number of UK buy to let property investments let out by investors based overseas has more than halved in the last eight years. The latest data released by Hamptons International has revealed that the percentage of overseas based landlords letting buy to let properties in the UK fell from 14.4 per cent in 2010 to just 5.8 per cent in the first 11 months of 2018 – the lowest level on record. Every region in the UK has seen a fall in the proportion of homes let by an overseas landlord since 2010. The largest drop has been seen in London which has gone from one in four (26 per cent) of homes let in London owned by an overseas based landlord in 2010, to just 10.5 per cent this year. A fall of 15.5 per cent. In other parts of the UK, the proportion of overseas based landlords has fallen by 10 per cent in the South East since 2010, followed by the North East and East Midlands, both experiencing a drop of 6 per cent. Outside the capital, Yorkshire & the Humber has the highest proportion of homes let by an overseas based landlord (6.7 per cent), but this region has only seen a 4 per cent fall in overseas based landlords since 2010. Western Europeans make up the biggest group of overseas based landlords at 34 per cent, followed by Asian (20 per cent) and North American (13 per cent). However, since 2010 the proportion of Western European based landlords has fallen by 2.1 per cent, compensated for by a pickup in Asian landlords (+2.1 per cent). Middle Eastern based landlords have also risen by 1.4 per cent since 2010 and now account for 11 per cent of overseas based landlords. Head of Research at Hamptons International, Aneisha Beveridge, said: ‘The proportion of homes let by an overseas based landlord has more than halved since 2010. Sterling’s depreciation since 2016 undoubtedly makes it cheaper for international buyers to purchase property in Great Britain. However, the conversion of pounds back into local currency means additional costs which cut into an overseas landlords’ monthly income. This combined with a harsher tax regime for overseas investors is dissuading some international investors from entering the rental market. There’s no two ways about it, the buy-to-let market has become much more challenging for investors of late for a broad variety of reasons. And landlords need to be braced for conditions becoming even tougher in the months ahead. One problem I previously touched on is the impact that the Bank of England’s recent interest rate rises have had on driving buy-to-let mortgage costs higher again. And the trend is expected to continue into 2019 and probably beyond. Rates poised to rise That said, recent commentary from the Old Lady of Threadneedle Street released earlier this month suggests that any reduction in borrowing costs in the short term or beyond to support the economy in the event of a catastrophic no-deal Brexit cannot not be considered a given. As the Bank of England explained in its most recent minutes, “the economic outlook will depend significantly on the nature of EU withdrawal,” and that therefore “the monetary policy response to Brexit, whatever form it takes, will not be automatic and could be in either direction.” Indeed, should sterling dive in response to the UK’s Brexit strategy, the committee may have no choice but to hike rates in an effort to tame a likely surge in inflation. A property price crash? Another clear risk of a disorderly Brexit in the spring is the possibility that house prices in the UK could fall off a cliff. The property market crash that many had predicted in the event of a Leave campaign victory in June 2016 may not have transpired. But home price growth has slowed to a crawl, the latest home price inflation gauge today showing expansion of 3.5% in September, more than halving from the 7.7% rise posted exactly two years earlier. Demand from first-time buyers may still be strong, but the uncertain outlook for the UK economy has seen transaction activity from existing homeowners slow to a crawl. And I would expect buying appetite from both of these demographics to sink, at least in the immediate term, should Britain fall out of the EU with a bang. The buy-to-let sector is becoming more and more of a minefield for investors and for a variety of economic and political factors. In my opinion it’s a sector that is far too high risk and I think that savers should seek other ways of deploying their cash, like stock market investment, to generate solid returns. Buy-to-let purchase lending will likely reach just £9bn this year – £3bn short of UK Finance’s £12bn forecast at the start of the year. Jackie Bennett, director of mortgages at UK Finance, told delegates of the stark news at the trade body’s annual mortgage conference this morning. She said: “Buy-to-let has not fared so well this year. “Our forecast for 2018 was for around £12bn of buy-to-let purchase – the market looks like it will considerably undershoot this, coming in at more around £9bn. “This is undoubtedly the impact of various tax, regulatory and legislative changes that have happened to landlords in the buy-to-let sector. She wasn’t all doom and gloom however. Buy-to-let remortgaging has gone the other way, with lending likely to reach £27bn, up from the £24bn forecast at the start of the year. Bennett also brought up the subject of product transfers in buy-to-let, as this data isn’t currently available, unlike with residential. She said “it wouldn’t surprise me” if buy-to-let product transfers are “as strong as the residential market”. Later in the day Yolande Barnes, professor of real estate, Bartlett Real Estate Institute, UCL, did little to quell fears about buy-to-let. Indeed she said the market will likely be moderately down again on current levels come 2023. Is buy-to-let property a better investment than stocks? Buy-to-let property has historically been a very popular for British investors. And in the past, they’ve generally done well from BTL, profiting from both house price appreciation and solid rental yields. But is investing in a buy-to-let property a better idea than investing in the stock market? Right now, I’m not so sure. Here’s a look at four reasons stocks beat BTL as an investment in the current market environment. With UK property prices having soared in value over the last decade, the rental yields on offer from BTL properties are generally quite low at present. This is because rent prices haven’t kept up with property prices. While it’s still possible to find hot spots that do offer high rental yields if you do your research, the average nationwide rental yield is just 3.6% at the moment, according to insurance specialist Direct Line. With stocks, you can potentially pick up a yield that’s significantly higher than that with much less effort. As I detailed here, it’s not that hard to put together a simple blue-chip portfolio that yields around 6% at present. Furthermore, if you invest within an ISA, that income will be tax-free. A 6% yield tax-free for doing nothing? That a no-brainer to me. Another key advantage that stock market investing has over BTL property is that it’s significantly less hassle. With stocks, you can invest in a portfolio and then leave it to work for you. Essentially, you’re letting company management do all the hard work while you spend your time doing what you enjoy. However, with BTL property there’s a whole lot of things that need to be taken care of. For example, you need to ensure that your property is always tenanted (with good tenants). If your property is without tenants for a few months, or your tenants don’t pay the rent, you may have to fork out the mortgage payments yourself. You also need to make sure all repairs are sorted out promptly. And don’t forget all the new BTL regulations that is making life more stressful for landlords, such as minimum energy ratings. In short, BTL is a lot of effort. Another benefit of stocks is the liquidity that they offer. If you want to take some profits off the table and free up cash, you can. Hit the sell button and your money will be in your bank account within days. The same can’t be said for property. You can’t just sell one bedroom, can you? If you do want to sell your property, you’re looking at a lengthy process and a load of fees. Lastly, stocks allow you to spread your money out more effectively than property does. With a BTL property, you’re putting all your eggs in one basket. What happens if UK property prices tank as a result of Brexit? In contrast, with stocks, you can invest in many different companies, sectors and geographical regions, and this can help lower your investment risk. Buy-to-let property has been a good investment in the past, but with low yields on offer at present and new regulations making life more difficult for landlords, the asset class is losing appeal. In my view, a long-term investment in the stock market could be a better idea. Some buy-to-let professionals were pleased Chancellor Philip Hammond didn’t introduce any further buy-to-let taxation changes in his Autumn Budget. 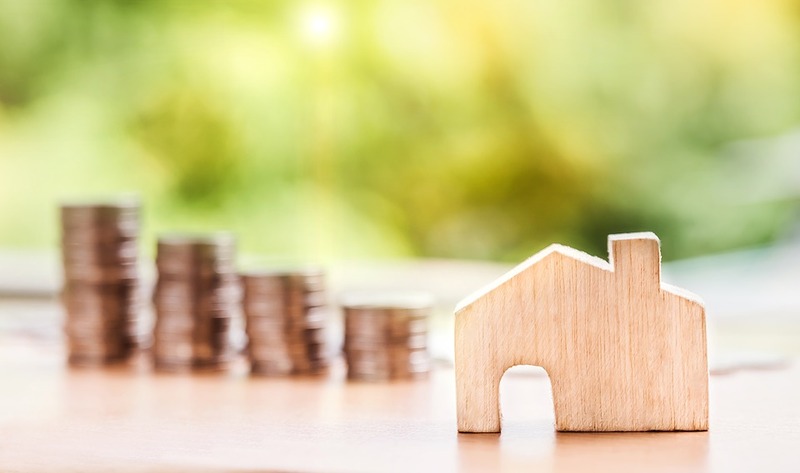 Andrew Turner, chief executive at specialist buy to let broker Commercial Trust, felt the move to raise income tax thresholds could be good news for some buy-to-let borrowers. He said: “Certainly there had been speculation beforehand that the Chancellor might increase stamp duty on second homes, but in the event, these proved unfounded. “There was very little mention of landlords at all and perhaps the most significant aspect of this Budget, was the raising of personal income tax allowances to £12,500 for basic rate and £50,000 for higher rate, from April 2019. “This could represent good news for some landlords, who are borderline higher rate tax payers at the present threshold of £46,351. If these landlords suddenly find themselves in the lower tax bracket from next April, they might benefit from more generous borrowing calculations on some buy-to-let products. “This is because some lenders apply less strenuous rates in their income calculation ratio (ICR) assessments for non-tax payers and basic rate tax payers. 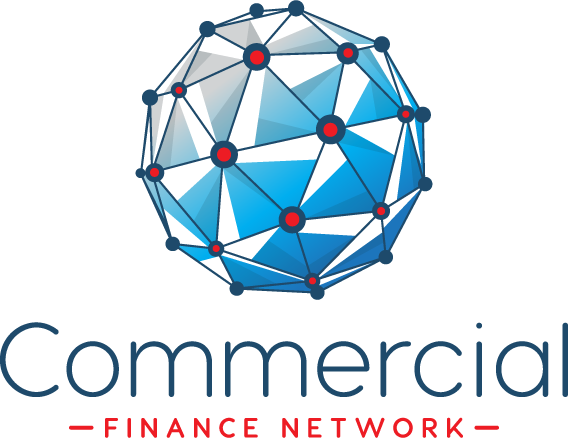 Toni Smith, chief operating officer, PRIMIS and Personal Touch Financial Services (PTFS), said: “It will undoubtedly be a relief for many landlords that the Chancellor has moved his focus away from the buy-to-let market in this Budget – a sector which is still getting its head around recent regulatory updates. Similarly Peter Izard, business development manager at Investec, agreed and also welcomed Hammond cutting stamp duty for shared ownership properties valued at up to £500,000. He said: “It was pleasing to see the Chancellor did not make any major changes to taxation in the buy-to-let sector or in stamp duty apart from the positive changes in shared ownership stamp duty. “Investec considers the housing market requires a period of certainty and the lack of changes will be welcomed. “The Chancellor announcements in the budget on the £500m increase to the housing infrastructure fund to support SME housebuilders are welcomed by Investec. This is the best place for buy-to-let investors to buy! It’s no surprise that the UK buy-to-let market is suffering a crisis of confidence right now. Landlords are becoming jittery over the stagnation (or in the case of London, painful decline) in property price growth over the past couple of years, not to mention tales of a possible market collapse in event of a cataclysmic ‘no deal’ Brexit. They’re also becoming more and more troubled over the growing raft of regulations befalling the sector, a natural consequence of politicians trying to curry favour with the growing number of young and middle-aged adults still stranded in the rental trap. Indeed, recent data shows that in this climate, landlords are more likely to reduce the size of their property portfolios than to buy up more bricks-&-mortar assets. Irish eyes are smiling Sure, conditions might be tough in Britain, but there’s still plenty of opportunity for buy-to-let operators to make a fortune. They simply have to look a little further afield. Ireland, for instance, has proved a lucrative hunting ground for property investors for years now. A report from WorldFirst shows that little has changed. The Emerald Isle just took top spot on the international payments specialist’s European Buy-To-Let League table for the third year in a row, with the average rental yield there registering at 7.69% in 2018. By comparison, the average rental yield in the UK stands at 4.67%, it said. UK buy-to-let remains robust That’s not to say that the British buy-to-let market is totally unattractive, though. Strong rental demand means that average rents in England and Wales were up 2.6% year-on-year in September, according to estate agency YourMove, a rise which WorldFirst attributed to landlords increasing rents in response to the government’s decision to axe tax relief for proprietors. All things considered, though, I believe that investing in stocks is far superior to taking the plunge in the rental market here or abroad. Indeed, if approached the correct way, buying into share markets has the capacity to make the sort of returns that most buy-to-let landlords can only dream of. Buy-to-let property investing has boomed over the past few decades. It has become a popular way of generating wealth as investors have benefited not only from a regular monthly rental income but also soaring property prices. However, over the past two years, the buy-to-let landscape has changed dramatically. And if you’re planning on getting into this market, there are several factors you need to consider first. Firstly, renting out property is no longer as lucrative as it once was. During the past few years, to try and cool the housing market the government has tweaked the tax system to make buy-to-let investing less attractive to investors. A 3% stamp duty surcharge on second homes and a gradual reduction of mortgage interest tax relief, which will reach the basic rate of 20% for all landlords by 2020, will weigh on returns for all investors going forward. What’s more, the government has been introducing regulation to stop rogue landlords taking advantage of tenants and increasing tenants’ rights. The cost of complying with these increasing demands could be too much for small-scale landlords. Secondly, as a landlord, if something goes wrong with the property you will have to find the money to pay for it and organise repairs. On top of this, finding and vetting tenants can be time-consuming. Of course, you could pay a letting agent to take care of everything, but this would consume more of your rental income. Fees amounting to 10% or more of the monthly rent take are common. Thirdly, for all the time and effort involved managing a property, the returns aren’t that attractive. Using a back-of-the-envelope calculation, the average tenant’s rent bill was reported as being just over £900 per calendar month at the beginning of this year. That’s around £10,800 per annum. At the same time, the average home price at the end of Q1 was in the region of £226,000, or £232,780 including the stamp duty surcharge. Based on these numbers, I estimate the average rental yield is 4.6% for landlords getting into the market today. If you deduct a 10% per annum letting agent fee and income tax, you’re left with a yield of around 3.4%. I should, at this point stage, that these figures are only rough estimates. Also, many buy-to-let investors use mortgages to improve returns, this adds another variable and cost. With these tiny profit margins, it will only take one broken boiler or leaky shower to eliminate a year of income. Capital gains are usually a significant factor in buy-to-let investors’ considerations as well. Here the prospects are brighter. Mid-single to low-digit home price growth is expected for the next few years, although this will differ between regions. Still, if you take a 3.5% annual income and, say, 2.5% yearly capital appreciation, buy-to-let investing could, according to my figures, produce a 6% return. Personally, I’m not convinced that this level of return justifies all the work involved. There are equities in the FTSE 100 which support a dividend yield of more than 7%, and with these stocks there’s much less work involved. So, after considering all of the above, it seems to me that the best days for buy-to-let investing are now over.